If you require more information about any products we have listed please see below a list of the websites we are distributors for. We can also order anything you require from these suppliers although shipments of orders are subject to practicalities of having sufficient size/quantity to satisfy supplier minimum orders. For fast removal/grinding away of surplus material use either 80 grit (fastest), 180, 260 or 360 laps. These course laps will have to be followed by finer grit sized laps sizes of 600 or 1200 (slowest) to prepare surface for fine smoothing and pre-polishing or polishing. In many cases you will be able to go directly from a 1200 lap to pre-polish or even polishing. Either use a solid lap or a �topper lap� with a master lap as a support for preforming or rough shaping. 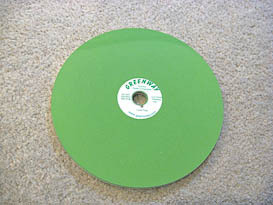 Obviously the lap grit size should be chosen relative to the amount of material that needs to be removed. Remember that a coarse grit will leave deeper grinding marks that must be totally smoothed/ removed before polishing is attempted. 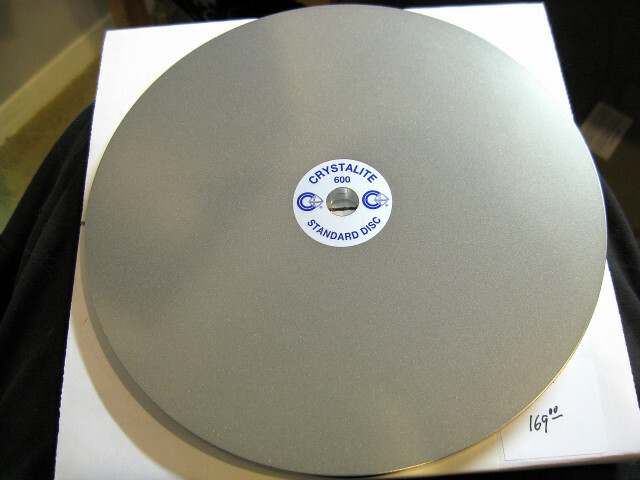 Crystalite: The Standard brand diamond discs (laps) are used by professional cutters worldwide and are excellent for faceting. They are designed to exceed the most rigid requirements. The aluminium backs are ground flat and parallel to exacting standards. 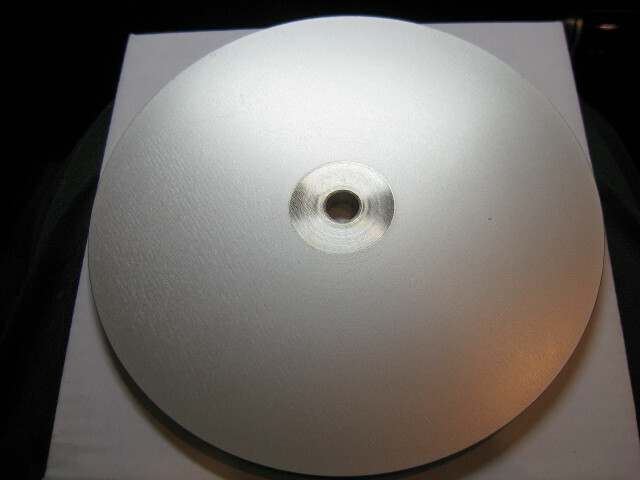 Additionally, all the Standard brand discs are made with 100% diamond and bonded with a hard electroplated nickel. They are also available with a � inch-20 thread screw back mount, allowing you to utilize the full face of the disc. Other diameters, mesh sizes and arbour hole sizes are available. 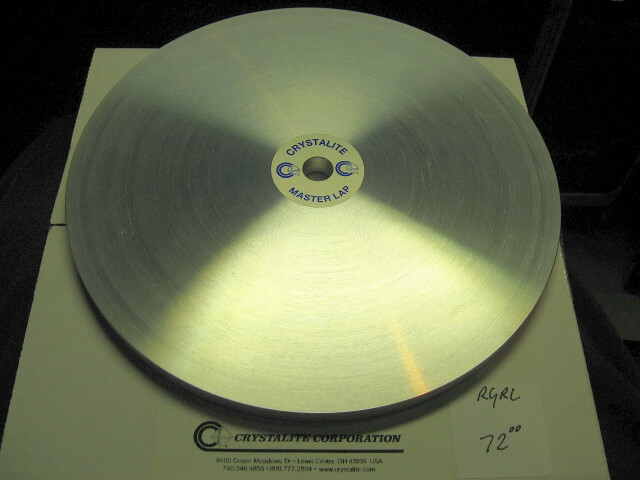 Crystalite is one of the brands marketed by the worlds leading manufacturer of grinding and polishing products, Abrasive Technology. Economy Brand: These are products that are manufactured in Asia to a decent standard but not as high as the �branded� international multinational corporations. They are designed to be a less costly alternative to the top brands. The old adage applies..you get what you pay for.. and generally the economy brands will not have the same degree of precision or longevity. However, they are well priced and good value for the money but you should not expect the same level of life from these products. Nu-Bond by Raytech: NuBond is a very effective pre-polish facet lap. A NuBond lap requires little if any break-in to produce smooth finishes. Compared to an electrobond lap, it will scratch less and will cut more consistently over a longer service life. 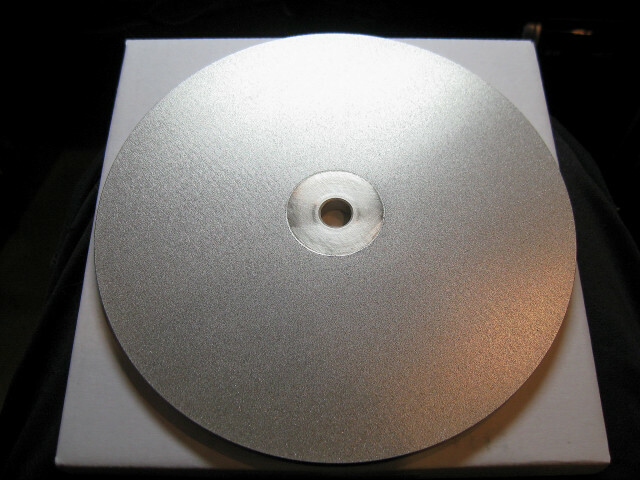 Multilayer NuBond laps have a higher concentration of friable, self-sharpening diamond bonded directly to a solid aluminum backer. NuBond laps are precise and true running, lightweight and corrosion resistant. Important: To replace an electrobond lap, select a NuBond which is one grit coarser than the electrobond. Even though coarser, NuBond will scratch and chip less. So a 325 grit NuBond replaces a 600 Electrobond, a 600 NuBond replaces a 1200 Electrobond and a 1200 NuBond replaces a 3000 Electrobond. Economy preforming/grinding lap. 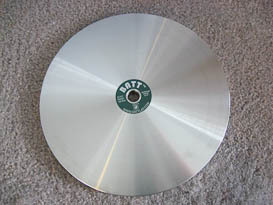 7� inches in diameter (20 CM), 9mm in thickness with a 12.7mm arbour hole ( � inch). 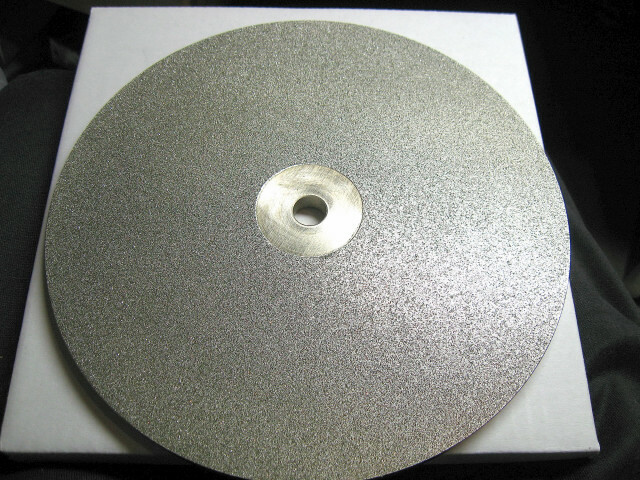 Solid steel diamond plated with 80 grit for quick stock removal. Must be dried after use or will rust. Economy preforming topper lap. 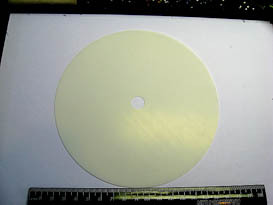 7� inches in diameter (20 CM), 1mm in thickness with a 12.7mm arbour hole ( � inch). Solid steel diamond plated with 80 grit for quick stock removal. Must be dried after use or will rust. Economy preforming/grinding lap. 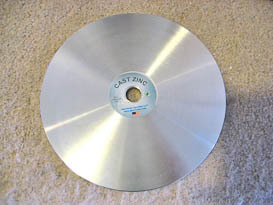 7� inches in diameter (20 CM), 9mm in thickness with a 12.7mm arbour hole ( � inch). 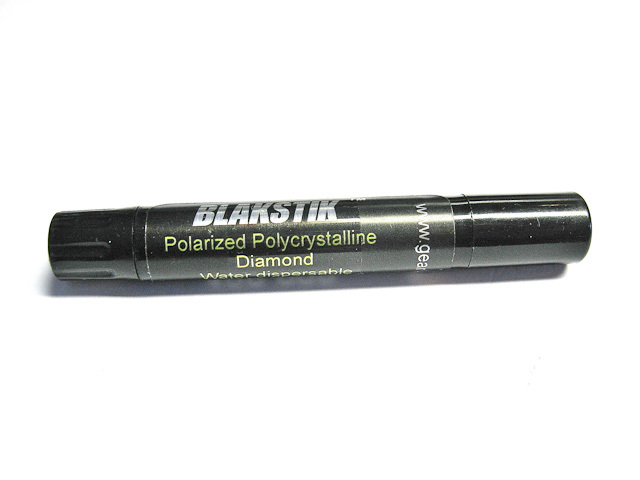 Solid steel diamond plated with 180 grit for quick stock removal. Must be dried after use or will rust. Economy preforming/grinding lap. 7� inches in diameter (20 CM), 9mm in thickness with a 12.7mm arbour hole ( � inch). Solid steel diamond plated with 260 grit for quick stock removal. Must be dried after use or will rust. Economy preforming topper lap. 7� inches in diameter (20 CM), 1mm in thickness with a 12.7mm arbour hole ( � inch). 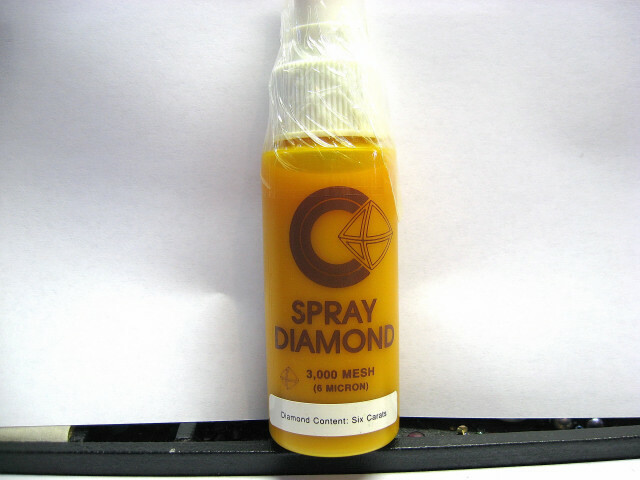 Solid steel diamond plated with 260 grit for quick stock removal. Must be dried after use or will rust. 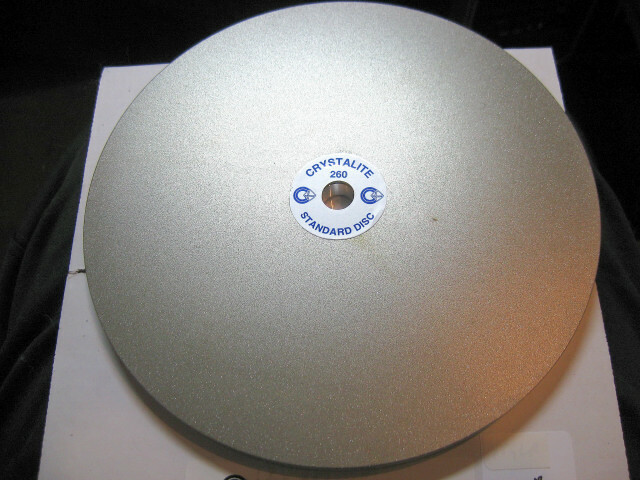 Superior grade 260 grit preforming/grinding lap manufactured by Crystalite, a US supplier. 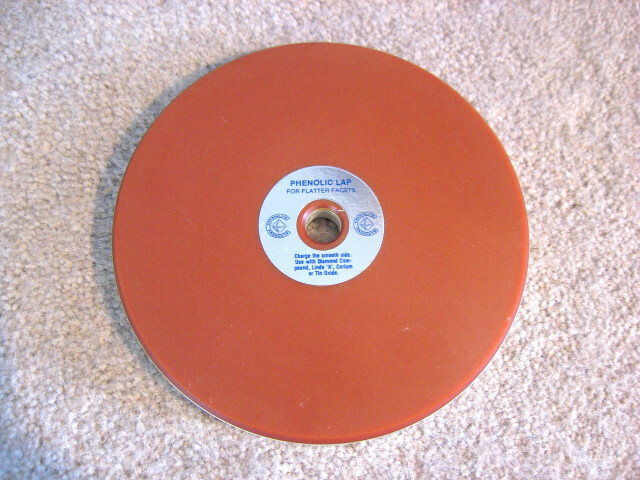 8 inches (203mm) in diameter and 11 mm thick with � inch arbour. Aluminium base with diamond plated cutting surface. Economy preforming/grinding lap. 7� inches in diameter (20 CM), 9mm in thickness with a 12.7mm arbour hole ( � inch). 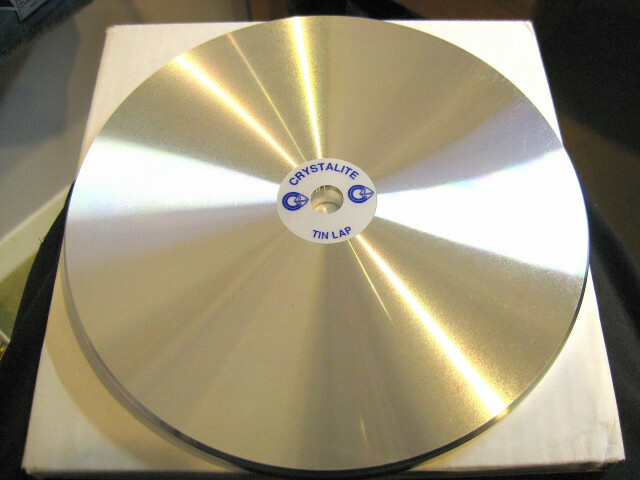 Solid steel diamond plated with 360 grit for quick stock removal. Must be dried after use or will rust. Economy preforming lap. 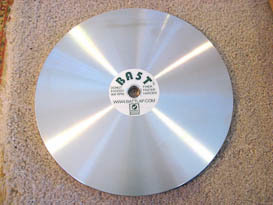 7� inches in diameter (20 CM), 9mm in thickness with a 12.7mm arbour hole (� inch). Solid steel diamond plated with 600 grit for slow stock removal. Must be dried after use or will rust. Economy preforming topper lap. 7� inches in diameter (20 CM), 1mm in thickness with a 12.7mm arbour hole ( � inch). 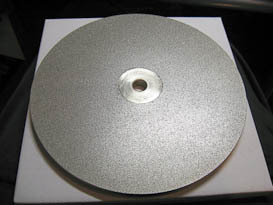 Solid steel diamond plated with 600 grit for slow stock removal. Must be dried after use or will rust. Superior grade 600 grit preforming lap manufactured by Crystalite, a US supplier. 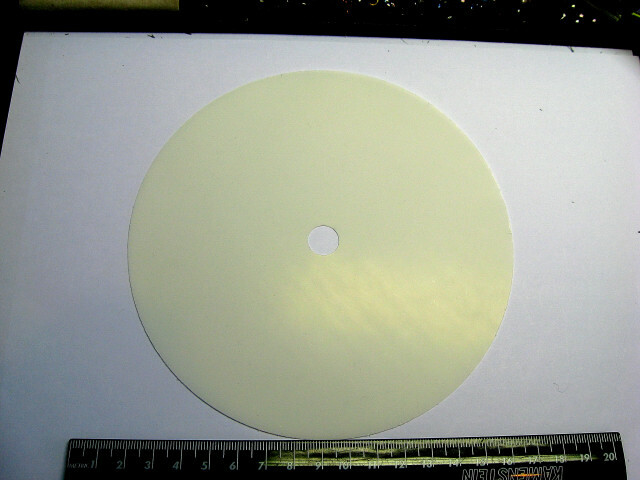 8 inches (203mm) in diameter and 11 mm thick with � inch arbour. Aluminium base with diamond plated cutting surface. Economy preforming lap. 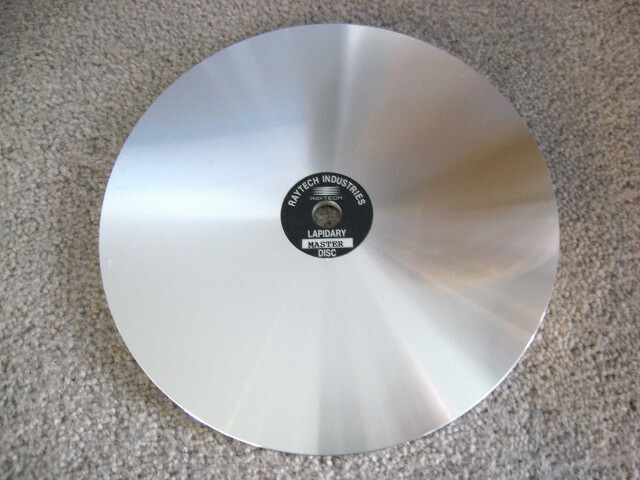 7� inches in diameter (20 CM), 9mm thick with a 12.7mm arbour hole ( � inch). 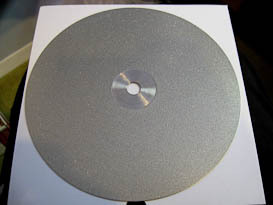 Solid steel diamond plated with 1200 grit for very slow stock removal. Must be dried after use or will rust. 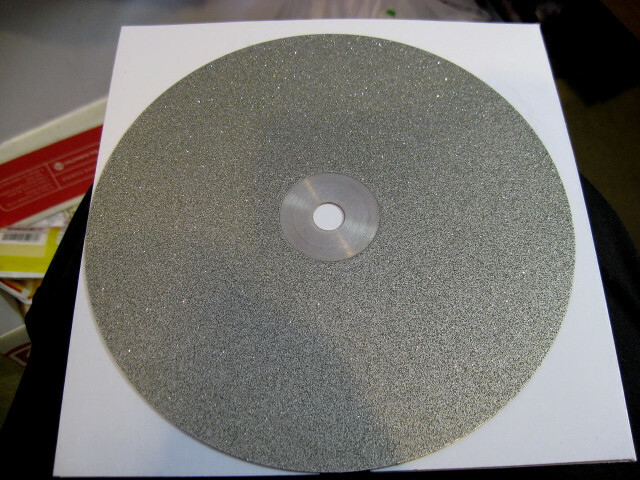 NuBond 6 inch (15 CM) lap 6mm thick 325 grit are superior grade grinding laps manufactured by Raytech . Multilayered they have a higher concentration of friable, self sharpening diamonds bonded directly to an Aluminium base. There are many different options available when polishing gems. We are listing some we use below but can source other options for you if required. 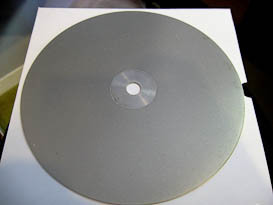 Tin laps are charged with either a diamond slurry or a selected oxide compound such as cerium oxide, chrome oxide etc. 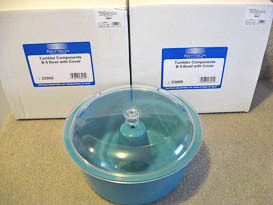 With Tin laps it is obviously better to choose one option and stick to it so as to avoid cross-contamination of differing polishes. 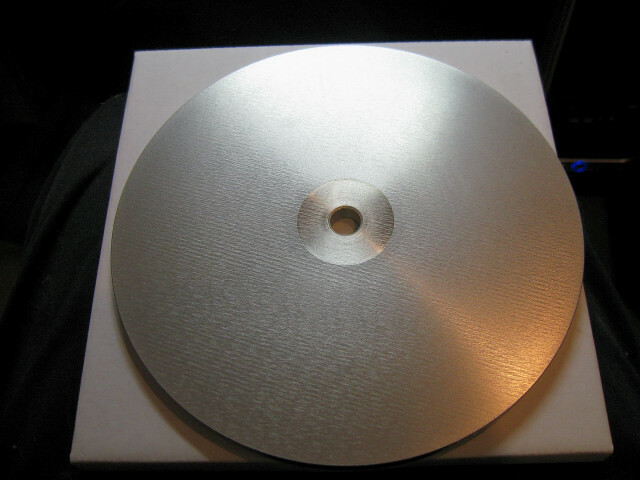 We carry and represent the following Tin Lap manufacturers. Crystalite Tin Laps manufactured by Abrasive Technology in the U.S.A.
Batt Laps Tin and cast alloy Laps manufactured by Gearloose Lapidary In the U.S.A.
Raytech Tin Laps manufactured by Lyman Products Corporation in the U.S.A.
Alumina Oxide-will polish Beryl, Tourmaline, Garnet, Topaz, Peridot, Danburite etc. 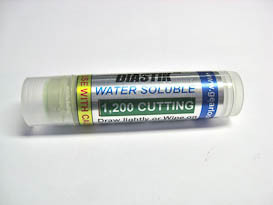 Tin Oxide-most cabbing materials, glass and materials containing Quartz, Tourmaline, garnet and Sphene. Darkside laps: These are made by Jon Rolfe of Gearloose Lapidary and are rapidly gaining popularity among faceters. This lap was created to combat rising metal prices and to create an affordable easy to charge and use lap. These are great performers and are especially effective for Quartzes when used with Cerium Oxide. Battwing Lap: This is a one step prepolish/polish lap made by Gearloose Lapidary. A combination of a Batt Lap around the outer portion of lap and a Darkside on the innner. This saves having to change Laps when going from Prepolish to polishing. Stone must be wiped clean in between to prevent contamination. Film of coolant, carrier and swarf is carried always outward by centrifugal force so obviously final polishing must always be on the inner Darkside. 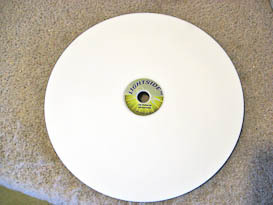 8 inch BATT laps are superior grade laps manufactured in USA by Jon Rolfe of Gearloose. These laps are solid cast Tin alloy with both sides being usable. 6 inch BATT laps are superior grade laps manufactured in USA by Jon Rolfe of Gearloose. These laps are solid cast Tin alloy with both sides being usable. 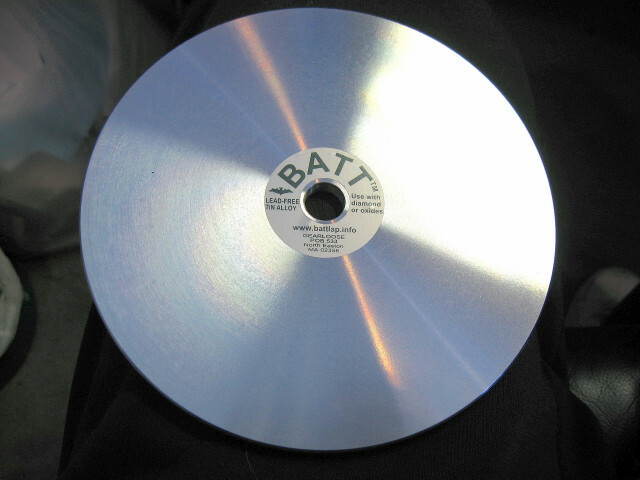 8 inch BA5T laps are superior grade laps manufactured in USA by Jon Rolfe of Gearloose. These laps are designed for high speed commercial and competition faceting. A harder finer grained lap than BATT lap. 8 inch DARKSIDE laps are superior grade laps manufactured in USA by Jon Rolfe of Gearloose. Lightweight polishing laps and can be used with either Diamond or Oxide slurries. 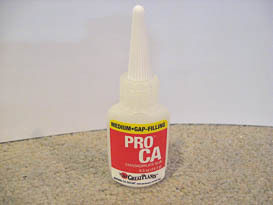 Very effective and popular for quartzes as well. 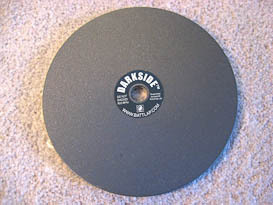 6 inch DARKSIDE laps are superior grade laps manufactured in USA by Jon Rolfe of Gearloose. 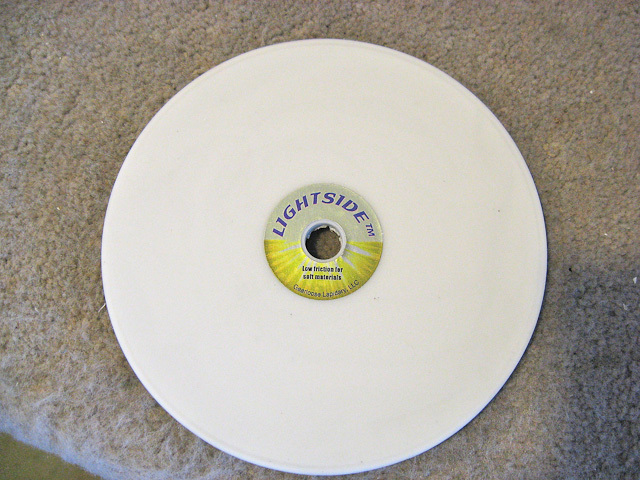 Lightweight polishing laps and can be used with either Diamond or Oxide slurries. 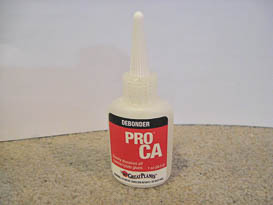 Very effective and popular for quartzes as well. 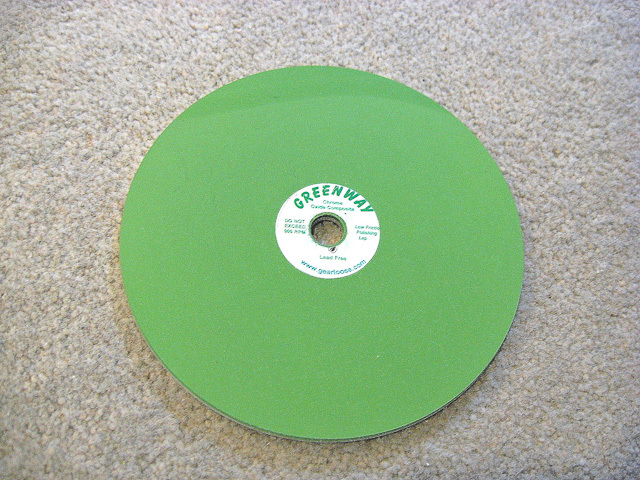 Greenway a 6 inch Chrome Oxide polymer-Just Add Water lap. 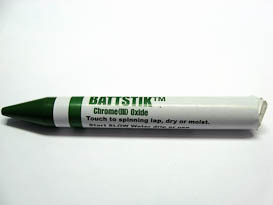 Modified for exceptionally high oxide loading. Good with tourmaline, Beryls including emerald, quartzes, peridot, garnets, and feldspars. Not for Spinels, CZ or Corundum. 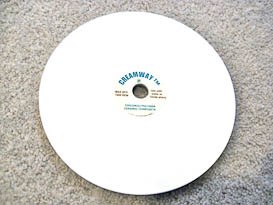 6 inch Creamway is a Zirconium Oxide/ceramic polymer Just Add Water lap. 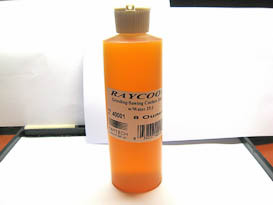 The polymer modified for exceptionally high oxide loading. 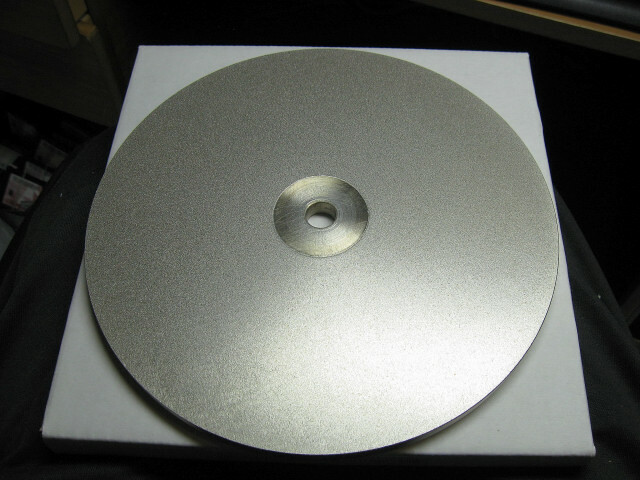 Zirconium Oxide is more aggressive and faster than Cerium Oxide on polishing quartzes. 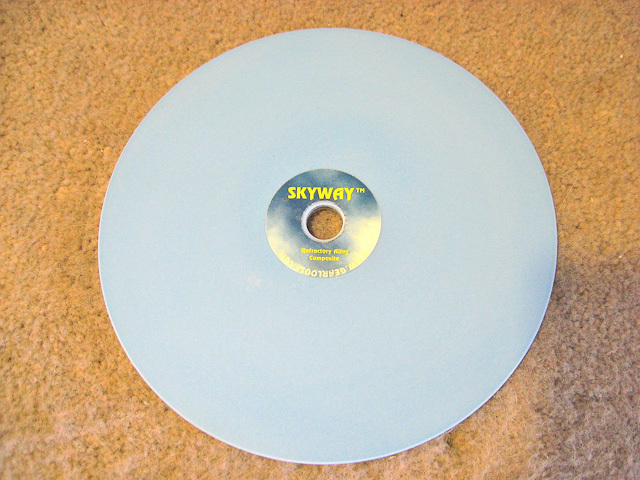 6 inch Skyway polishing lap from the Battlap people. A water only lap and is aggressive and fast polishing for feldspars, peridot, beryls, quartzes, opals, garnets, tourmaline, tanzanite as well as Apatite. A ceramic/ polymer composite. Users have found this 6 inch special zinc alloy prepolishing lap is very fast and aggressive and that 8K diamond may be better than usual 3k prepolish. 3k will cut on this lap. 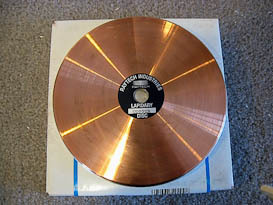 8k Diastick is now available for this lap 6 inch (15 cm) copper faced with 1/16 inch (1.59 mm) of rolled copper laminated to 1/4 inch (6.35 mm) thick aluminum Master Lap turned true. Traditional lap for charging with diamond powder. 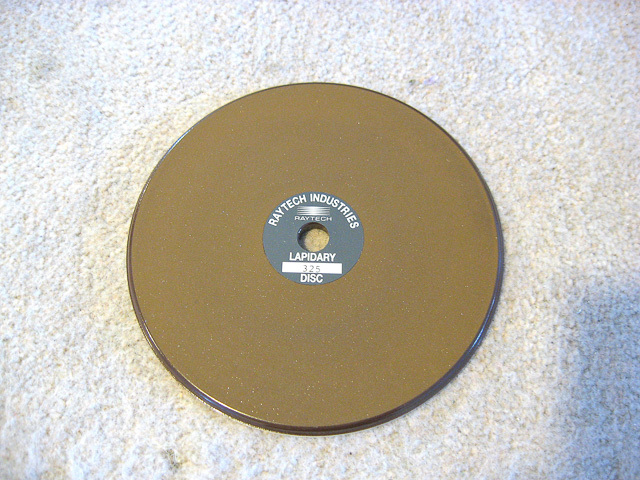 Mfd by Raytech Lapidary in the USA. 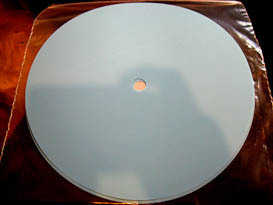 Phenolic lap is manufactured by Crystalite. This is 6 inch in diameter and has a 10 mm aluminum base with 3mm layer of Phenolic. 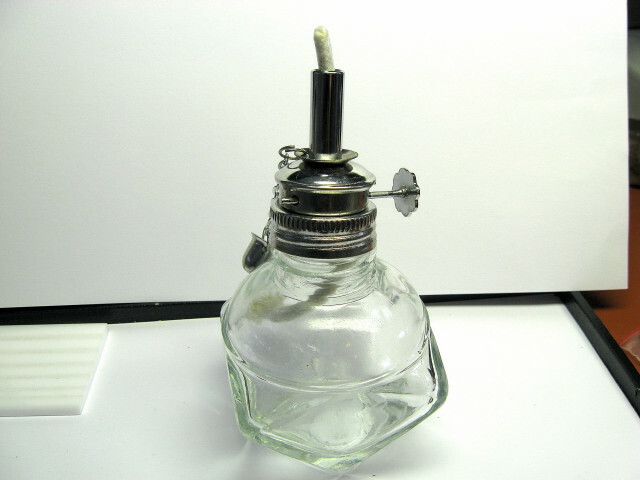 Phenolics work well with all oxides for polishing. 1/2 inch arbour. Spectra Ultralap pack-five pieces of thin polymer film precharged with Cerium Oxide high grade(99.9%) polishing compound. 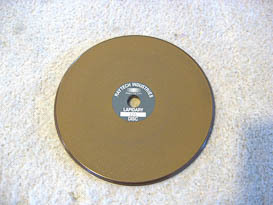 8 inch diameter and 1.5 micron (13,000) grit size. � inch arbour size. 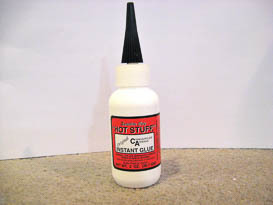 Use with Master lap under as base. 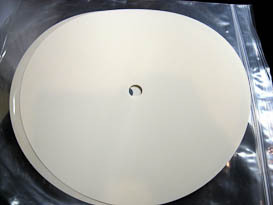 Alumina oxide Ultralap pack-five pieces of thin polymer film precharged with Alumina Oxide polishing compound. 6 inch diameter and 0.3 micron grit size. � inch arbour size. Use with Master lap underneath as base. Alumina oxide Ultralap pack-five pieces of thin polymer film precharged with Alumina Oxide polishing compound. 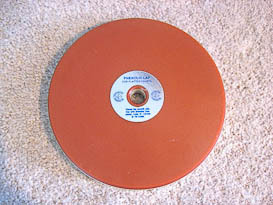 8 inch diameter and 0.3 micron grit size. � inch arbour size. 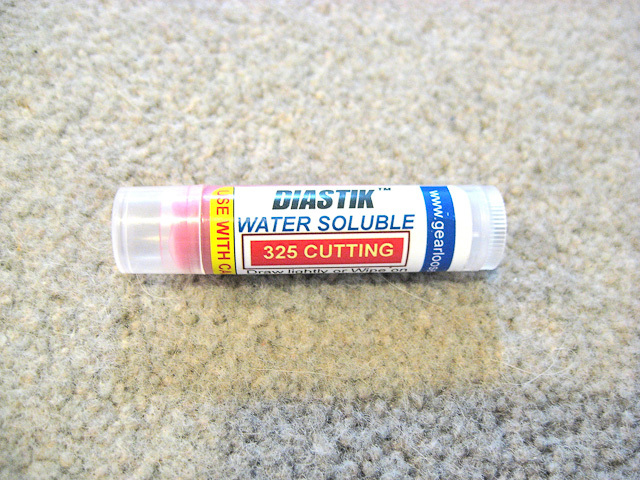 Use with Master lap underneath as base. Cerium Oxide Ultralap pack-five pieces of thin polymer film precharged with Cerium Oxide polishing compound. 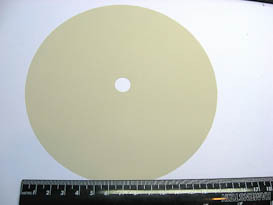 6 inch diameter and 1.5 micron (13,000) grit size. � inch arbour size. Use with Master lap underneath as base. 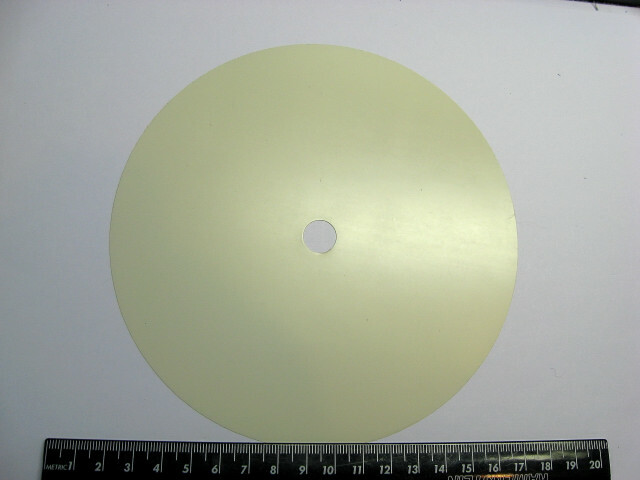 Cerium Oxide Ultralap pack-five pieces of thin polymer film precharged with Cerium Oxide polishing compound. 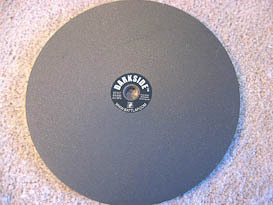 8 inch diameter and 1.5 micron (13,000) grit size. � inch arbour size. Use with Master lap underneath as base. 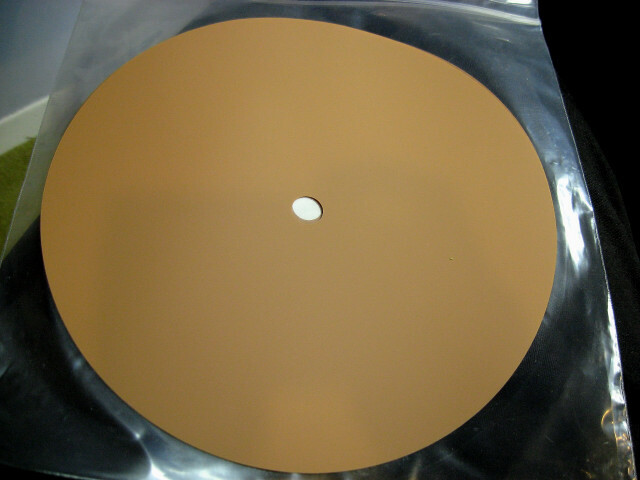 Tin Oxide Ultralap pack-five pieces of thin polymer film precharged with Tin Oxide polishing compound. 6 inch diameter and 1.2 micron grit size (14,000 Mesh). � inch arbour size. Use with Master lap underneath as base. Tin Oxide Ultralap pack-five pieces of thin polymer film precharged with Tin Oxide polishing compound. 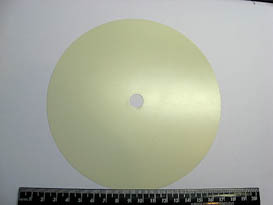 8 inch diameter and 1.2 micron grit size (14,000 Mesh). � inch arbour size. Use with Master lap underneath as base. 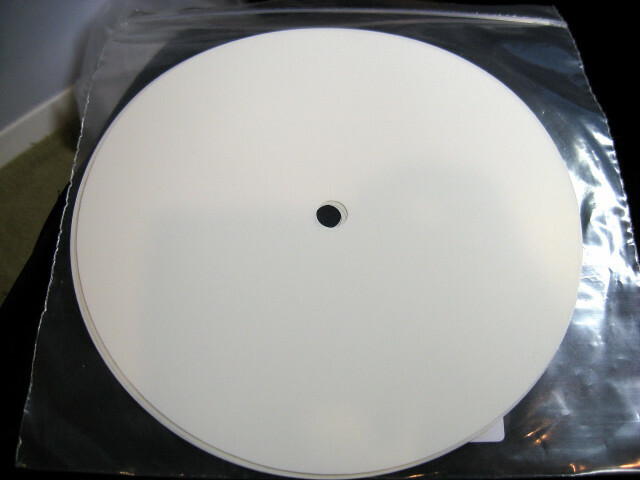 Master Laps are designed to be used as a base/support for either thin 1mm �topper laps� used in preforming or the flexible thin polishing laps such as Ultralaps. Superior grade Aluminium lap used as base /support for topper laps (1 mm thick diamond plated discs) or Ultra-Laps. Manufactured by Raytech, a US supplier. 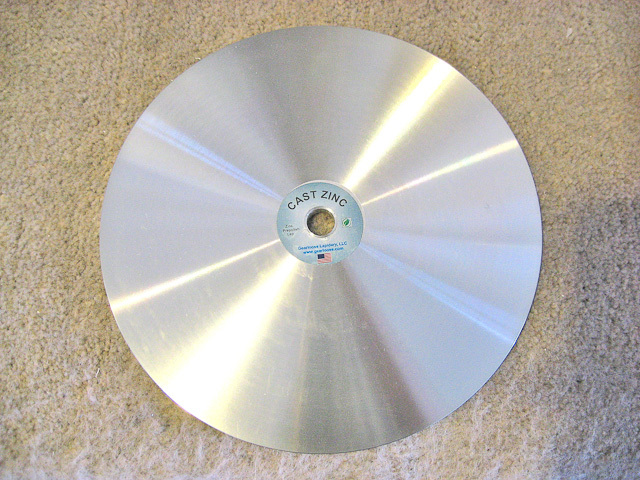 7 � inches (20 CM) in diameter and 5.5 mm thick with � inch arbour. Superior grade Aluminium lap used as base /support for topper laps (1 mm thick diamond plated discs) or Ultra-Laps. Mfd. 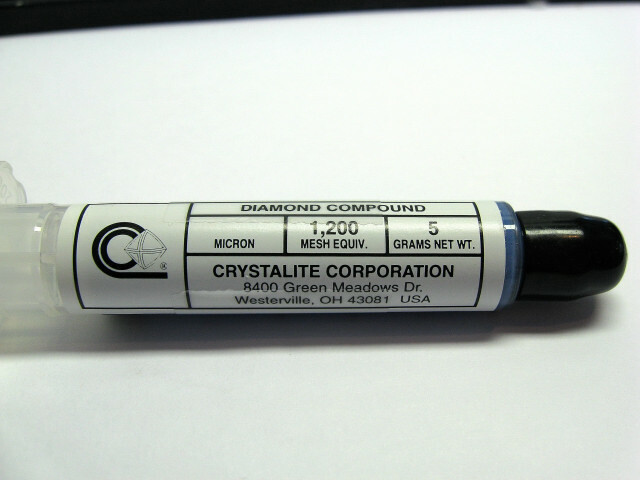 by Crystalite, a US supplier. 8 inches (203mm) in diameter and 10 mm thick with � inch arbour. 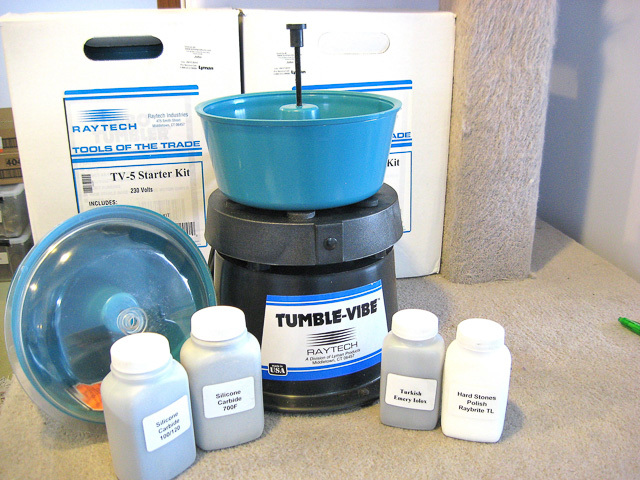 Assorted faceting and cutting supplies. 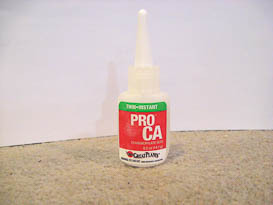 This is a 1/2 OZ bottle of CA or cyanocrylate or super glue. Has a bonding time of 1 to 3 seconds and is thin viscosity. Made by Great Planes a US based company. Line up surfaces first and then wick in the CA. 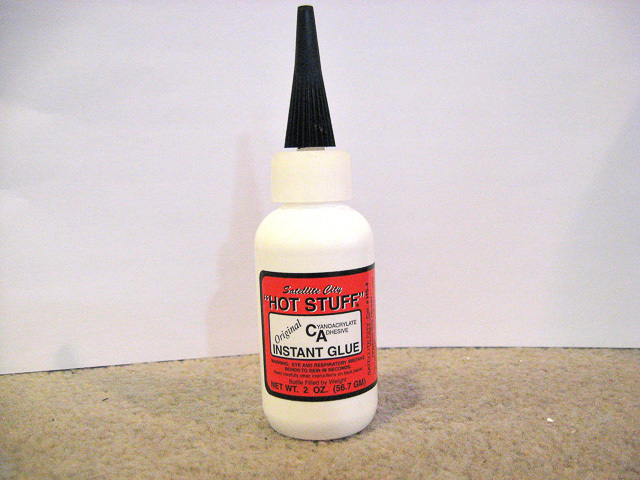 For close fitting surfaces. 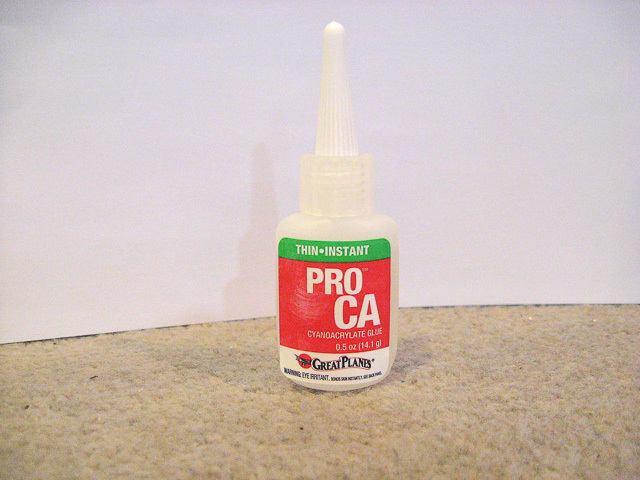 This is a 1/2 OZ bottle of CA or cyanocrylate or super glue. 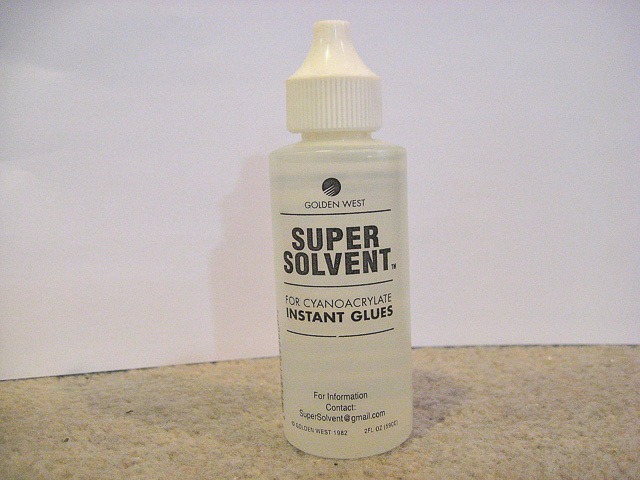 Has a bonding time of 10 to 15 seconds and is medium viscosity. Made by Great Planes a US based company. Line up surfaces first and then wick in the CA. 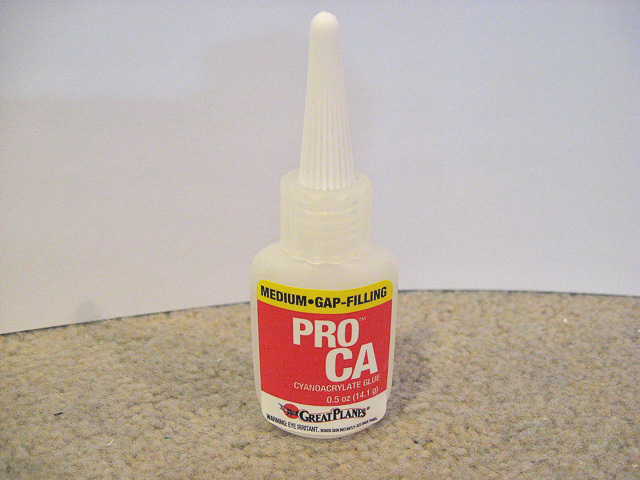 For surfaces where may be small gaps. 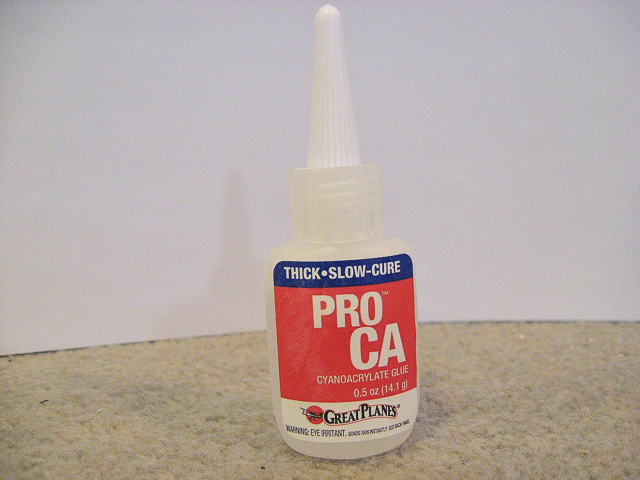 This is a 1/2 OZ bottle of CA or cyanocrylate or super glue. 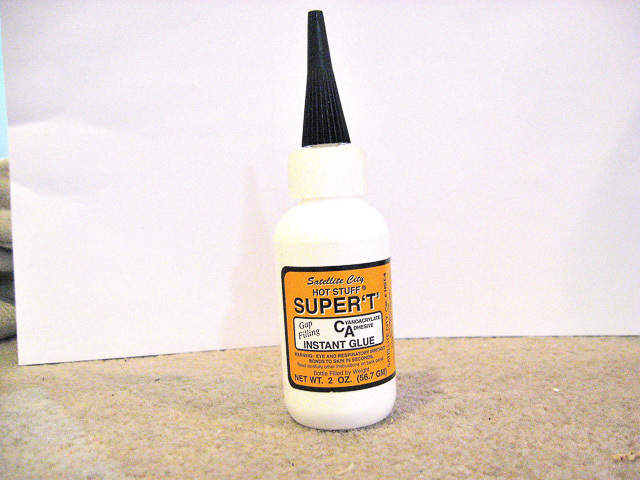 Has a bonding time of 1 to 2 minutes and is of a thicker viscosity. Made by Great Planes a US based company. 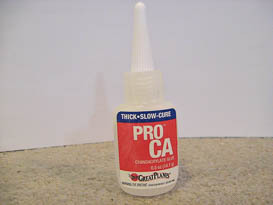 Usefull for bonding surfaces where may be small gaps so you need to set and then keep stable until cured. 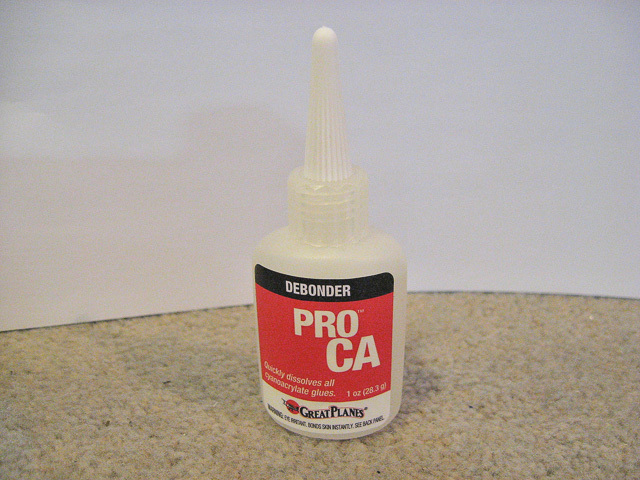 This debonder gently dissolves all CA glues so surfaces can be pulled apart without damage. I OZ bottle. Read instructions before use. Made by Great Planes a division of Hobbico an American company. 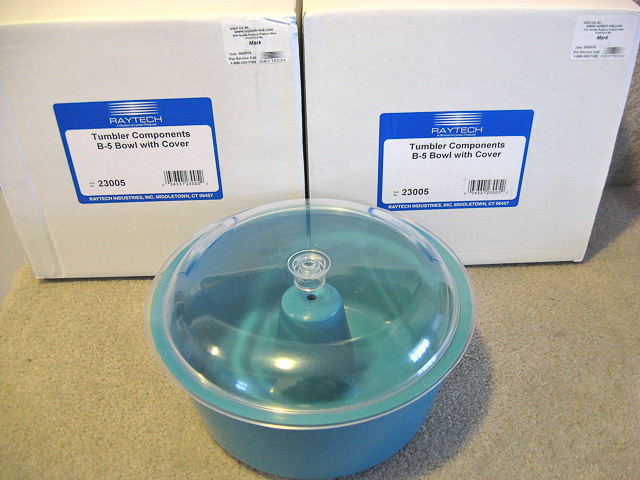 Extra bowl and lid for Raytech TV5 tumbler. Can be usefull if you want to keep a separate bowl for each grit. 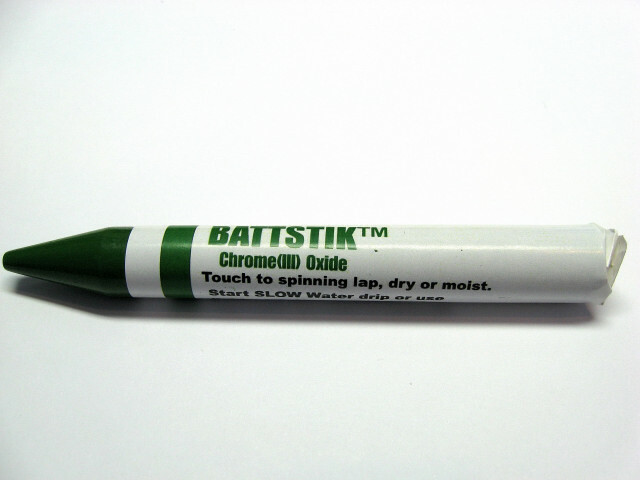 Battstick Chrome Oxide polish charging stick. 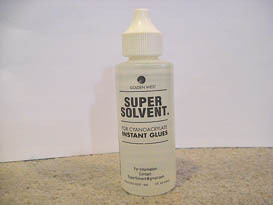 A water soluble oxide polishing compound designed to reduce mess and waste associated with oxide slurries. Economical to use since a little goes a long way Battstick Zirconium Oxide polish charging stick. 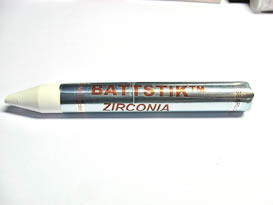 Highly specific for Quartz and is faster and with more agressive polish for Quartzes, outperforming Ce O. Also reported as good with beryls and peridot. Water based polycrystaline diamond polishing compound in 100,000 grit size. 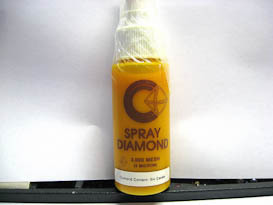 Will produce fast water wet appearing perfect polish on Topaz, CZ, Chrysoberyl and Corundums. 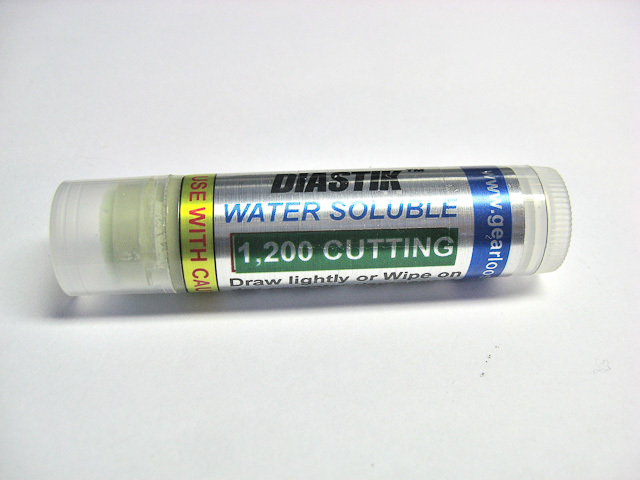 Cool cutting and economical and requires little compound. 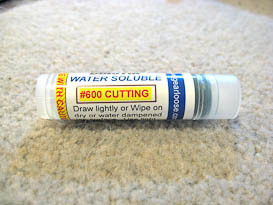 6 cts of 3,000 grit first quality Crystalite diamond compound suspended in a pump spray bottle of deionized water. No fluorocarbons. 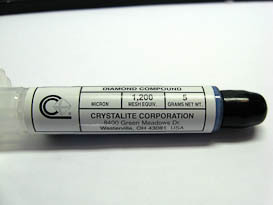 5 grams syringe of 1200 grit Crystalite silicon based Diamond compound. These are temperature resistant and will not separate. 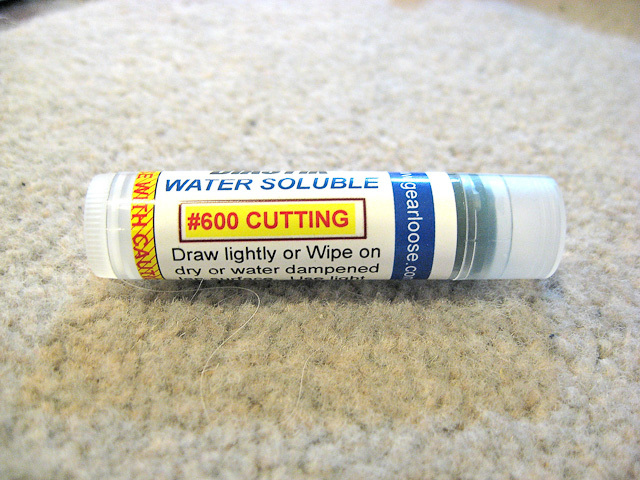 Use with Crystalube to charge polishing pads. 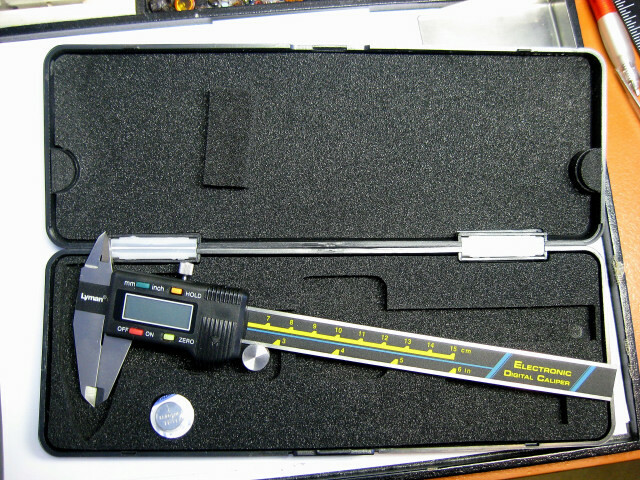 Electronic digital calipers with 6 inch or 152 mm capacity. Accurate to .001 of an inch. LCD dispay manufactured from stainless steel. Push button zero and inch/mm selection. Alcohol lamp with wick for melting dopping wax. 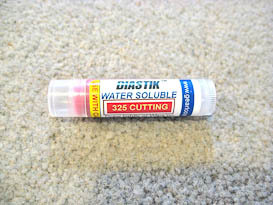 Can be used with meths or alcohol. Always take care with flammables.